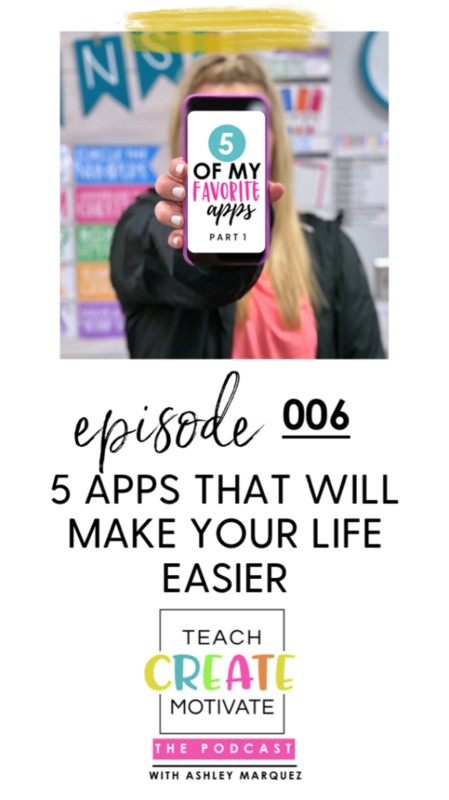 Today’s episode covers five apps that will make your teaching life easier and these are my personal favorite apps that I use and that I love and I think that it’s so good to be constantly finding new things out there that can help us with time, or help us stay organized, or help our teaching life or things in the classroom go smoother and to be easier for us as teachers. Alright, so let’s get started. I have five apps that I absolutely love and use that I want to share with you. 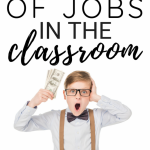 You may have heard of one or two of them but I’m hoping that there’s a couple in here that you haven’t heard of or haven’t tried yet that will help you either stay organized or help you get your teaching life under control or even use in your classroom with your students. So, number one: Class Dojo. I couldn’t talk about apps for teachers without obviously talking about Classroom Dojo. I am sure you have at least heard of Class Dojo and how amazing it is. Maybe you use it and you’re not quite sure all the features that it has or maybe you haven’t used it because you just can’t add another app or new thing to your plate. But I want to tell you why I love it and I want to tell you all the amazing features of the app. So, first I’m going to share with you the amazing things that it has and then I’ll tell you the simple way I actually use Class Dojo in my classroom. So, on Class Dojo, you can actually connect parents to see and monitor the behaviors of the students in your classroom. So each parent has a code and they get to connect to your Dojo account to see their child’s points in your class based on behaviors that you have set with your students. So I think this is one of the main ways that Class Dojo is set apart from others is that parents can actually interact with that and see what’s going on with their child each day. So you send home kind of like an invitation code and they connect and they can connect with you through the app. They can also watch their child’s behavior throughout the day as far as how many points you’re giving or taking away from their student and what exactly is happening with those behaviors. So that’s one awesome thing about Dojo. You can actually post updates to your class. So if you need to send a quick message to your parents or you want to post an update about what’s going on in the classroom, you can do that also through the app, which is great because if you’re not looking for multiple platforms or multiple apps to use for different things, you can do a lot of this through Class Dojo. Like I said before, you can message parents so sometimes parents will message me on there asking me a question or if I need to message a parent about something or message all the parents, you can do that through the app. You can do that through the website feature as well. So like I was mentioning about connecting parents, the whole kind of point of Class Dojo is to manage those behaviors. You set the behaviors that you want to have within the app, positive and negative. And what I personally do is I do this with my students. Class Dojo gives you some behaviors to start with but you can edit them, you can erase them and start over. So what I do is at the beginning of every year, whenever we’re introducing the app to my students, I go ahead and talk with my kids and we set what kind of things we could earn points for and what kind of things we could lose points for. You can also add values to those behaviors so if one behavior is worth more points than another you can add those points there. This is really good because it helps your students again have some ownership within the classroom and I think it’s way, way, way more beneficial to say “Okay guys, what do we want to earn Dojo points for?” versus saying “Here’s how you’re earning Dojo points for.” It’s a simple shift that really has a huge impact. So that is the main way of Dojo but there’s also some tools within Class Dojo that I love to use. The first tool that I use the most is the group maker. So sometimes when I want to create groups but I don’t want to pull sticks or number them off or just even think about it at all, I go to my app and I open it up and I select the tool kit and then I use the group maker. So you obviously have already entered your students into the app, it knows how many kids you have and it knows their first name so if you want to create groups of four, groups of five, pairs, you just select that and it automatically generates the groups, which I like, because I don’t have to think about it but also my students know it is completely random. I did not do this at all to choose who you’re with. This is the random group that you are with and who you’re going to work with for this project or for this activity. So that is a cool feature of Class Dojo. You can also set timers. There’s a lot of different little things within the tool kit that they’ve updated and added as the years have gone by that I think are really beneficial and again are all in one spot. The other thing that Class Dojo has, if you’re not aware, is it has little short episodes on different topics. 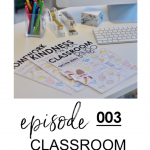 So it has episodes on growth mindset, mindfulness, gratitude and other different types of things like empathy and the kids really love these and it has different episodes within the topics so for example, I use the growth mindset episodes at the beginning of the year while we’re talking about growth mindset, while we’re filling out our growth mindset flipbook. My students will watch the episodes, about one a day for the first week of the school year and those episodes are just really awesome and beneficial for the kids. So, this is just a small portion of what Class Dojo offers. The way that I use Class Dojo is for the behaviors so I like that I can pull it up on my computer but I can also have it on my phone in the hallway. But if you follow me, you may have noticed that I kind of actually use it a little differently now. So sometimes it’s actually still even hard to put points in your phone or your computer during the day. We are so busy. We’re constantly doing teaching, moving, talking with small groups. So for me, what has become the easiest thing, is to have my students track their Dojo points for the day on their name tag with a dry erase marker. So what I do, and I still give points with my phone and the website, but for the most part if I’m working with a small group or if I’m teaching up at the front of the room teaching fractions and I have a student who is participating or a student who is really on task, then I can just say, “Hey Camille, two Dojos.” And then Camille with take out her white board marker and add two tallies to her Dojo section on her name tag. And then, what I like to do is I have a job, specifically a class job for Dojo Distributor and those Dojo Distributors every single day, they take one of the class iPads and they walk around and they assign the Dojo points to my students. And the only drawback for this is that they’re not really going to be assigning the points based on what they earned them for. For example, Camille earned two Dojos for participating so when she gets those at the end of the day, that Dojo Distributor is not going to really to take the time to do the points for what she earned all day because they’re not going to remember or know. But you’re going to see, Camille’s parents are going to see that she’s earned seven points that day, seven positive points that day. So that’s just what has worked for me because otherwise, it’s really hard to remember all day and then this way, they just erase the next day and they’re ready to go. So this is a great way to have a class job too, if you’re wanting to start that, you could include this as one of your classroom jobs. So it’s still a great way to use Class Dojo but maybe this would work for you if giving the points out all day is unrealistic. So if you’ve never tried Class Dojo or if you have tried it but you didn’t know about all these amazing tools, I highly recommend you checking that out and giving it a try. Okay the second app I want to share with you today is the Post-It Note app. Oh my gosh, whoever thought of this app is a literal genius. And I have to give a shout out to a girl in a presentation of mine who told me about this. I don’t remember your name, but if it was you, thank you so much! This app takes an actual picture of a group of your post-it notes. How many post-it notes do we constantly have around us at school, even at home, in meetings? Okay and then get this, it recognizes your post-it notes and it makes it into a digital version of your sticky notes. Yes, you take a picture of your post-it notes and it makes it into a digital version but here’s the best part, you can manipulate and rearrange your notes within the app. So this is awesome to save your brainstorming or your lists without keeping them all over your desk or all over your space. So I love that you can have a bunch of sticky notes, take a picture, and then within the app, you can move them around, categorize them, edit them, that kind of thing. This would also be an amazing tool to bring into your classroom because if your groups are brainstorming or working with sticky notes on a topic, instead of having them save each group’s set of sticky notes, you could use a device to take the pictures of each group’s notes and then that way they’re saved for further learning or further instruction. And also with this app, you can export the photo of the sticky notes into a picture. You can export into a PowerPoint, into a PDF and you can share it with somebody. It’s really, really so, so cool. So it is Post-It Note app. It is by the actual brand of Post-It. So definitely check that out. 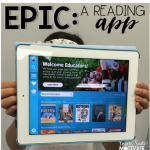 The next app is one of my favorite classroom apps ever. If you haven’t of or tried ChatterPix, it is one of the best ways, I feel like, to bring technology into your classroom as well as take a quick assessment of something. So ChatterPix works by uploading or taking a photo of something, for example, Harriet Tubman, and making that photo come to life by having your students talk as the person or object that’s in the photo. So this is so easy and quick to use if you’re wanting to see how your students are grasping a certain topic or learning about a certain theme of something that you guys have been talking about. What I like to do is just have my students take on the point of view of the person or object or concept and then they have to tell me three things about that person or that object or I just give them some guidelines that they have to follow when recording. So they just talk directly into the device and they record themselves and then they make a line where they want the mouth to be to talk, if that makes sense. And then the picture comes to life and it’s talking as the student and whatever they said for that photo. So it is a quick and easy assessment tool because I like to have my students do this and then they show me their iPad or show me their device and then I listen, which takes barely any time at all, and if they have grasped it or they’ve included the required talking points, then I give them quick grade or I know that they’re understanding and they’re grasping whatever it is that we’re learning about. You can even have them upload it into an app like SeeSaw or anything thing like that if you use that. Also, it would be a great thing to show at Open House. You could attach it with QR code and parents code scan and watch and listen to different ChatterPix. We’ve used it in reading, science, social studies the most, but the possibilities are definitely endless. So many possibilities. It is a great app if you’re wanting to just incorporate some more technology. It is just easy and your kids will really love it. Okay, number four. This might just be my favorite all-time app I have ever discovered. I am not exaggerating. I tell everyone I can about this app. If you like lists and you like lists within lists, and you like color-coding your lists or collaborating on lists, you need this app. If you haven’t heard of it, it’s called Trello. This is an app and a desktop site, which I love. You can access it anywhere and it all syncs up. So when I make a list on my desktop website app Trello, it’s on my phone for whenever I’m out and about, or a school, or whatever. So here’s how it works: you can create boards within Trello. For example, you might have a school board, a home board, a grocery board or lesson plan, copies and to-do boards. You can create your boards within the app and then within that board, you get to create lists. For each list, you can add items within the lists and in those items, you can add descriptions to the tasks, you can move task easily within the list. 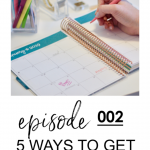 So if you want to add something to your list and it’s high priority, you can move it up on the list. You can also move the actual lists around on the board. So I like to categorize my lists to most important, needs to be done right now down to less important or can wait a little bit longer. Once you complete a task, you can easily delete it from that list. Also, you can add people to a specific board or list or a task. This is awesome because if you have people you are working with, or you have family members, you can add them to certain things within the app. There’s an option to create due dates, you can add attachments to a task. So if you have a specific thing within a list, you can add a picture or a recipe or a screenshot, something that is going to help you get that finished, you can add it there. It is just so helpful when getting all of your thoughts out there and organized, which I feel like is half the battle. Teachers are always creating lists for school and home and I feel like we’re always having them in all these different places and I just really love how user-friendly Trello is and how it syncs up between the phone app and the desktop. And I like said, you can color code those boards, which I love. That’s always exciting. But it’s really the perfect way to organize any and every list in one place. So the app is called Trello. Get it, it will change your life. You will love it. Again, it is a great way to organize your teaching and your home or personal lists in one place but still having them have their own space within the app. I love it, get it. It’s called Trello. Okay, number five today is actually Google Classroom. So Google Classroom is an app, you might consider it a website, but I love Google Classroom. I could do an entire episode on Google Classroom, so I’m going to save that for another day but I just want to let you know how amazing it really is. Google Classroom allows you to communicate with your students within assignments by adding links, assignments, polls, discussions, everything that you could think of in a digital way where your students interacting and engaging with the content on their devices. The reason that I’m including it in today’s list is because of how easy it is to access it from any device or at home. If you’re sick and you’re needing to look at an assignment but you don’t want to bring home your teacher bag full of papers, you can easily look over your students’ work from any computer or any device. You can assign them anything from anywhere. So sometimes if I’m home sick, I will quickly go on and assign them work through Google Classroom from my computer at home or if I’m watching TV, I can look over their work or answers or submissions through my phone’s app. So it did make the app list because it is so amazing. It really is a classroom staple. I know if you don’t have one-to-one devices, it can be hard to get started or you feel stuck as far as why and how you can use it. But I promise I will have more coming on Google Classroom because it’s that good. Really, it’s just paper free, it takes minimal time to assign things. It’s engaging; my students love doing anything on Google Classroom. Now, we don’t replace every single thing with a Google Classroom assignment but we do use them throughout the day, almost everyday, all day. So, highly recommend it. If you’re thinking about trying it, thinking about jumping in, go for it. It’s one of my favorite apps. Number five today so definitely give it a try. Alright, so those are my first five apps that will make your life easier. They are my personal favorites. Again, number one was Class Dojo. Number two was that amazing, genius Post-It Note app. Number three was ChatterPix: a quick and easy assessment tool. Number four was my absolute favorite, Trello… #lists. And number five was of course, Google Classroom. So I hope you took something from today that you can take straight to your classroom right away with your students or even for yourself as a teacher, in your teaching life or your personal life to help get organized or engage your students. It really means so much to me that you tune in and listen to the episodes on the Teach Create Motivate podcast. If you have a second, I would highly, highly appreciate it if you could subscribe and leave us a review. It really does help us reach more teachers every day.